Your Customer Journey Experience Should Add Value - Brilliant Breakthroughs, Inc.
Have you developed a hot customer journey experience for your customers yet? 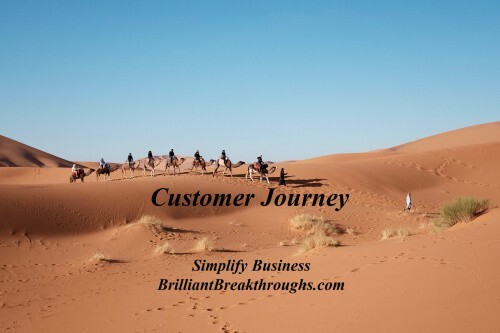 Does your customer journey add value to what you are offering YOUR Customers? If so, congratulations. If not, now is the time to create a new strategy to improve YOUR Business’s Performance. Over the past 5 – 10 years, the focus on advancing business has been placed on technology to improve what YOUR Customers are experiencing. Now, the tide has shifted. The key, to satisfied and raving customers, is making their journey with YOUR Business exceptional. Why is the customer journey important? It always has been. Nothing has changed – just our focus of how we develop a better journey has. Now it’s time for Business Leaders, yes that’s you Small Business Owners, to get back to what really matters – YOUR Customers! Gandhi was spot on! Here’s the rest of the article: Customer Purpose is YOUR Business. Gandhi fully understood how a customer is why businesses exist. He spoke about the root of why a business exists: to create a solution for a customer (and make a profit while doing it)! We have already established the priority hasn’t changed, but the focus has over the past 10 years. The focus shifted to learning new ways to conduct business – mainly through our digital experiences. Thus, the focus shifted to new processes and tools (apps) for us to conduct business with more reach and scale or exponential growth. As we were so busy catching up to learn new tools and figure out their capability, there hasn’t been much focus on the customer and what they are experiencing – their journey. Finally, the tide has shifted from all the tech bells and whistles (we’ve figured enough of them out) to bringing our focus back to the customer journey again. I acknowledge some of you never left; yet, most folks did! I’m happy to share that we’re back on track again. Amazon correcting their customer’s journey experience story. The above image shows part of a book order I placed with amazon.com. Many authors are aware that the transition from amazon’s Create Space to Kindle Direct Publishing has had many glitches, which are still being worked out. The inconsistency has been frustrating for many publishers and authors. 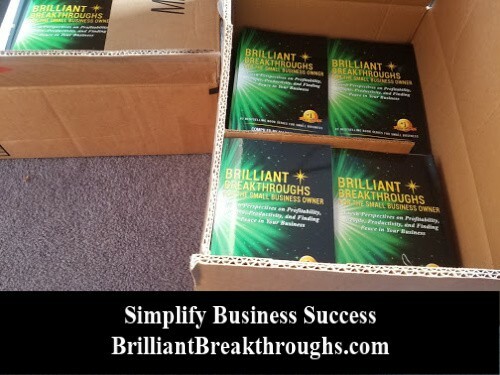 I placed an order for a bulk purchase of our #1 bestselling business book Brilliant Breakthroughs for the Small Business Owner – Vol 2 for a Summit. The order for Vol 1 was placed separately and was already received. Amazon told me that my books would arrive on Friday. Since it was a large order, I adjusted my plans for Friday and stayed home to receive the order. Unfortunately no books arrived on Friday, nor that Friday night with amazon’s “will be delivered by 9pm”. This meant I couldn’t go anywhere on Saturday either! Eventually the order arrived Saturday afternoon – only 1 box and the delivery person shared she only had one box on her manifest. I showed her how amazon said they were all coming as one order. Guess what happened next? A driver, in his personal vehicle, delivered it on Saturday night just before 9pm! We got our order in time for the event. Why? Martha properly did her job. She cared about me, the customer, and what I was experiencing. Did I get her name and send a kudos to amazon for her stellar service? Yes! Why? Even though it was a day late, I didn’t have to connect with amazon to chase down the rest of the order. 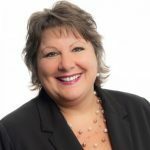 Martha did the right thing, added value to the transaction, and made it happen the way it should. How are you adding value to your customer journey? Hopefully you don’t have to do clean-up like Martha did, but be prepared for when you must. Remember to be polite and helpful, while working to resolve the issue in a positive manner. As issues appear, review how they can be removed and improved upon. As the Customer Journey conversations continue, here’s an article I wrote last year about this. It’ll help you understand the difference between Customer Experience (CX) and Customer User Experience (UX) and how they work with one another. This topic is going to be everywhere for the next year or two. The articles mentioned will support you advancing into the right thought process to join the conversation and begin your work to better serve your customer. Feel to reach out and ask any question or share what you have happening with YOUR Business’s Customer Journey. & Optimize Small Business Success!